At the Wolfson Law Firm in Miami, our Overtown injury lawyers can help you if you were injured in any type of accident. We have served the community of Overtown and all of Miami since 1963 and we know what to do. Our personal injury legal team is standing by 24/7 and we are ready to help you and your loved ones. All you have to do is give us a call at (305) 285-1115 and we can start working on your case immediately. 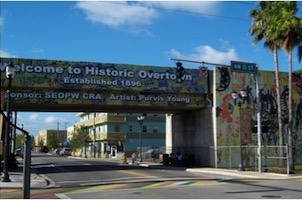 As the 1950s came to close, Overtown suffered serious economic decline. Things like the construction of many interstate highways (such as I-95) and various urban renewal programs, fragmented the once thriving community, cutting its population size from 50,000 to 10,000 turning this prosperous area into a “ghetto” with many businesses closing and activity stagnating in the neighborhood. If you live or work in Overtown and were injured in any manner due to the negligence or intentional acts of another individual or company, the Miami personal injury lawyers at the Wolfson Law Firm can help. We offer free consultations and work on a contingency fee basis. That means you only owe us fees if we make a recovery for you. In certain cases we can get an insurance company to pay our attorneys’ fees. We can explain that in greater detail when you call us at (305) 285-1115. The Miami personal injury attorneys at the Wolfson Law Firm proudly serve not only the Overtown community but also serve the folks in Edgewater, Miami Beach, Downtown Miami, Liberty City, Midtown, Wynwood, Miami Gardens, Brownsville, Little Haiti, North Miami, Hialeah and North Miami Beach.